Digital time-lapse cameras are an inexpensive way to capture frequent observations of phenology, though the images need to be validated with in-person observations. To better link these two data sources, authors of a new study in Ecosphere compared digital images of tree foliage color from spring to autumn to phenology observations made using the USA-NPN protocols. The authors also compared how timing and intensity of fall foliage color in eight species of trees is affected by environmental factors. Their results suggested that chill and minimum temperature in autumn, drought stress in autumn, and heat stress in summer are all important factors to the timing of peak fall foliage color. 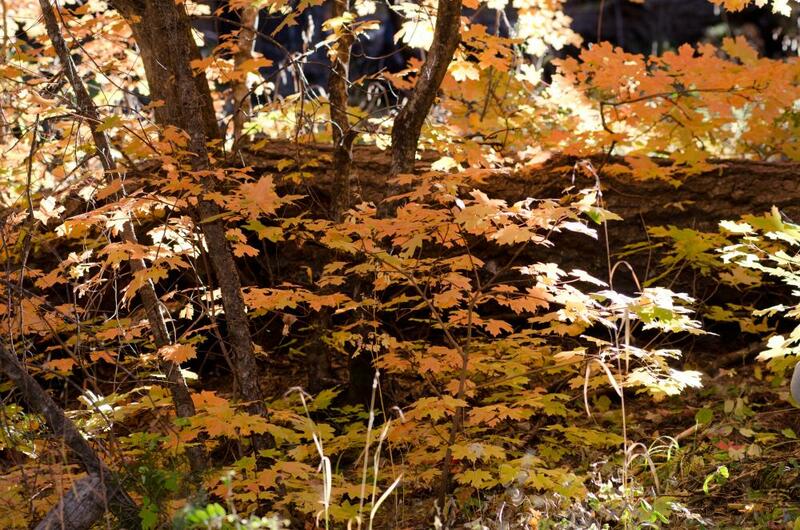 They also found that for sugar maples, lower chilling condition and less frost stress in autumn are linked to higher intensity of red coloration in leaves. This was the first study to investigate the interactions between autumn phenology and environmental variables on multiple deciduous tree species. Once there is an established link between photographs and on-the-ground observations, future researchers can use digital cameras to more easily and inexpensively document frequent phenology data. This study provides insight into which environmental factors influence the onset, duration, and peak in autumn leaf color. With the help of digital cameras and on-the-ground phenology data from programs like Nature’s Notebook, researchers can better understand the impacts of changes in climate on leaf color in fall. Citation: Xie, Y., Civco, D.L., Silander Jr, J.A. 2018. Species-specific spring and autumn leaf phenology captured by time-lapse digital cameras. Ecosphere 9 (1):e02089. Doi: 10.1002/ecs2.2089.